The beets were baked for a long time in a smoky fire. The beets were brought out to the table from the fire, cut in half, the center was cored and put onto the plate. The rest of the beet was too intense and given to the pigs. The goat's cheese was frozen in liquid nitrogen (that is what the vapors are coming from). There was a beet reduction on top. 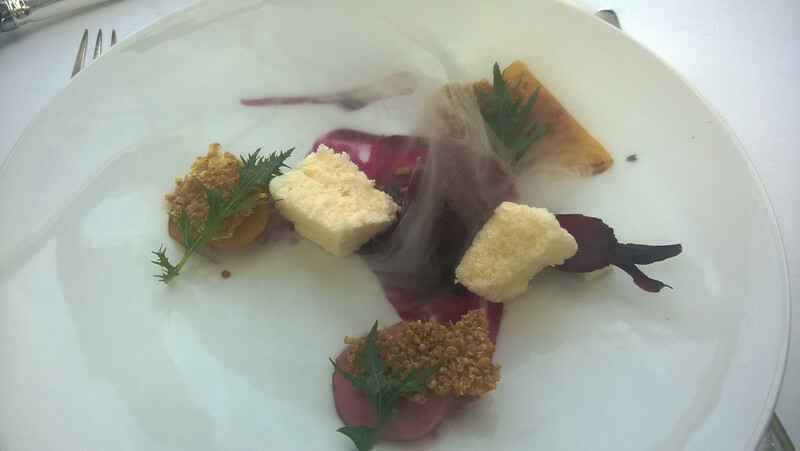 This was my favorite dish, I loved the mix of the goat cheese foam and smoky beets.